Mulch works wonders in the garden. Hardwood mulch performs some difficult duties in the landscape, such as insulating plant roots and conserving moisture in the garden. Mulch also controls weeds when applied in a 3 to 4 inch layer across the garden surface. Hardwood mulch comes in different types to suit the preference of the landscaper. Mulch is ground up from excess maple and oak trees to create the material gardeners spread on home flower beds. Hardwood mulch differs by the style and size of each individual piece of mulch. 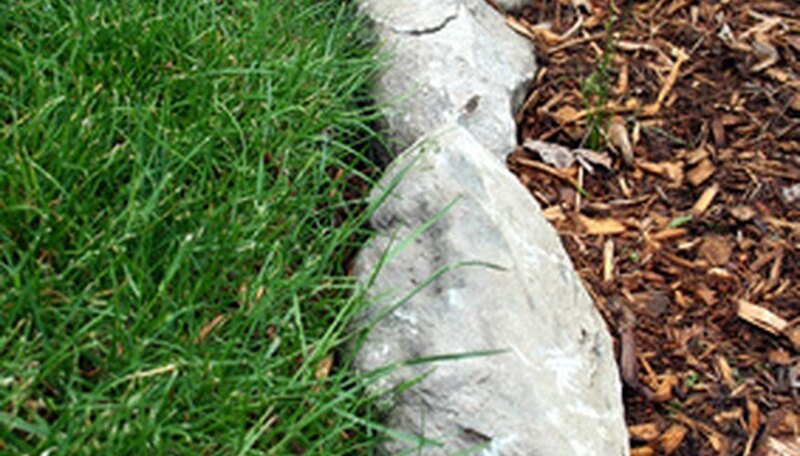 This difference allows landscapers to modify the look of the landscape to add texture. Location often dictates the best choice of mulch material for the landscape. Slopes and poor drainage areas require the use of finely shredded mulches to control retention. Double hammered mulch features a thin, fine consistency to individual pieces of hardwood. This medium allows for compaction as well as good weed control. Manufacturers grind this product twice to provide smaller sized mulches for use in home sites and commercial landscapes. 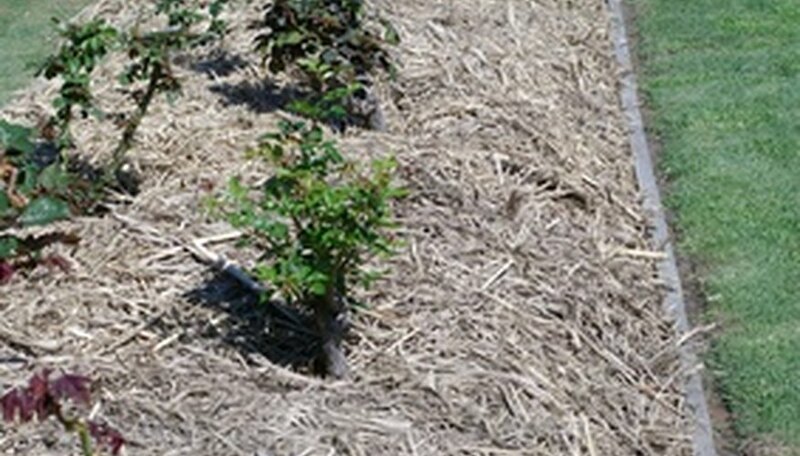 Triple hammered mulches features even smaller wood particles and a powdery, fine consistency. No dye is added and the mulch retains a dark brown color as it decomposes into the garden soil. Shredded mulch travels through the wood grinder one time to produce medium-sized lengths of wood for use in garden applications. Wood sizes won't be entirely uniform, but this product provides the perfect coverage for home garden use. 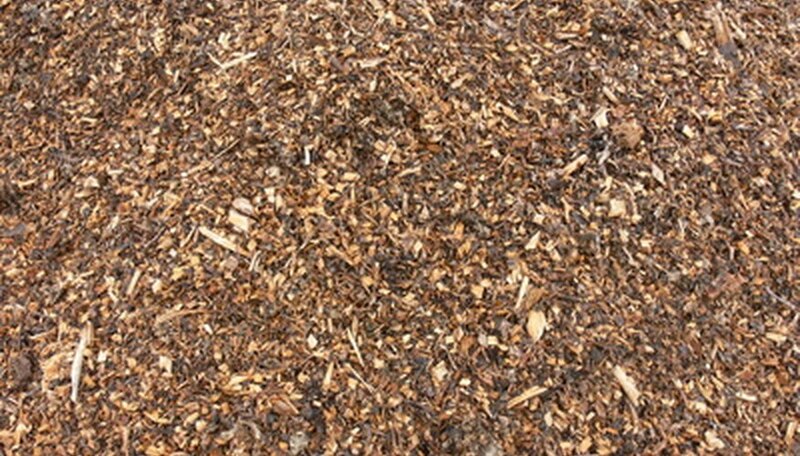 Shredded mulch features coarse wood particles that allow adequate moisture retention in garden soil. This product compacts less than double-hammed mulch and has enough weight to limit runoff during hard rains. This mulch type requires a maximum 3 to 4 inch application layer to promote moisture retention and limit weeds. This type of organic mulch features more compact pieces of hardwood. Individual particle sizes tend to be smaller size than the typical long, thin sections of wood seen with shredded hardwood. Gardeners often use wood chips for pathways and play areas because larger particle size resists compaction. Wood chips aren't as easy to purchase as standard shredded mulches and often contain a mixture of softwood as well. Check local recycling centers to locate sources of wood chip mulch in your community. In many cases, localities provide wood chip mulch to the community as an economical way to dispose of trees trimmed from county and city roads.